Bear Pillow Review - Is This The Ultimate Cooling Option for 2019? If you’re out on the look for the perfect pillow, you will quickly come to realize that there is a myriad of options that you can go through. Even an expert could easily get overwhelmed, let alone the regular shopper like you. With this said, what usually happens is that you’d purchase something just to end this nightmare, go home only to realize that the pillow is nowhere near as comfortable as you would want it to be. This is where we come into the picture. We’ve taken the liberty of providing you with a comprehensive and concise review of one of the best options on the market. The Bear Pillow is a sleeping solution brought to you by a company with an established reputation. 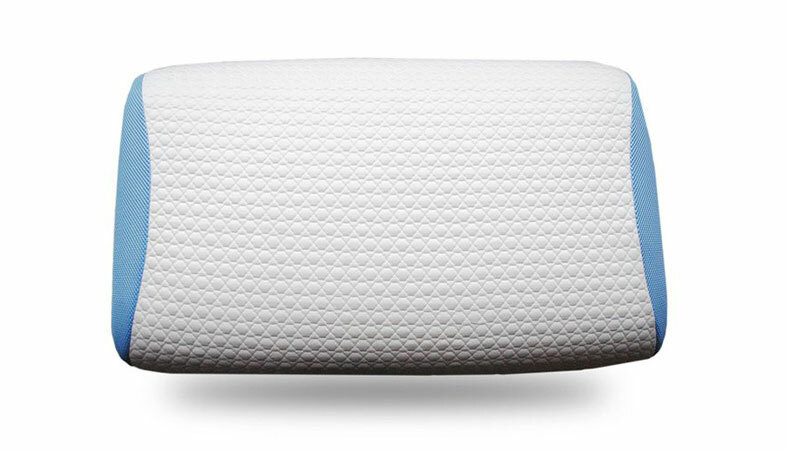 Having in mind its customers’ best interests, the pillow culminates in delivering a beautiful sleeping experience. Let’s have a look and see what’s so special. The first thing that you’d have to keep in mind when you go ahead and choose a pillow is the construction. 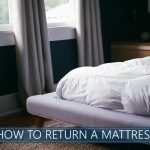 Just as if you are picking a mattress (see the guide), this is going to ensure that you receive the necessary support, comfort and overall feel. The construction of this one is made with a solid core of LOFT-X hybrid foam. This means that it is a large piece of foam that’s shaped in a very specific way. It intends to contour to your spine, neck, and head and it is essentially made of poly foam. However, this is a special type which is far more supportive compared to the regular memory foam, and it brings the characteristic bounce and response of high-end latex solutions. Of course, the main difference is that it doesn’t cost a fortune. The foam is covered with a very soft cotton blended fabric. That’s what’s going to wick moisture, prevent allergens, dirt, and dust. There is no zipper attached to it as it is not supposed to be removed – this is the slight drawback that we are not particularly fond of. Nevertheless, there is a removable cover on top of it. It takes advantage of something that the company refers to as “double ice” fabric technology. Also, there is a mesh side panel which is going to deliver the much-needed airflow as well as enhanced breathability. It sleeps cool, in case you are worried about it. Of course, all of the above wouldn’t matter if the pillow felt wrong in some way. Now, even though the feeling is a rather subjective experience that everyone would go through differently, it’s considered that this product delivers the qualities of both latex and memory foam. In other words – it’s quite comprehensive. This type of foam is going to deliver a model which is going to be responsive yet contouring. This translates to enhanced support and splendid overall feel. If you are worried that you can’t sleep because your pillow gives you aches, this particular one is capable of helping you out considerably. It will adapt very quickly to your movements through the night thanks to the latex material and its enhanced responsiveness. Even though the pillow is supposed to accommodate all kinds of sleeping positions, we’d have to admit that it felt best when you sleep on your back or your stomach. This is where it feels most comfortable and supportive. However, side sleeping is also enjoyable, even though the latex-like pronounced bounce does make it a bit firmer. Regarding height, we could say that it’s downright average, even though a few extra inches wouldn’t have hurt. However, the intention of the manufacturer is to cater to the preferences of the wide audience. This product comes with a price tag of about $95. There is a slight off-gassing smell that you would be able to notice when you are unboxing it, but it goes away within the first few days. There is a 100 nights trial period, and you have to use it for at least 30 before you can potentially return it for a refund. You’d only have to pay for the return shipping. The warranty is set to 2 years. The entire thing is made in the USA which guarantees the high quality of the materials. You want a cooler sleeping sensation – the company has gone above and beyond to incorporate as much comprehensive cooling technologies in the pillow as it can and, it’s safe to say that it has managed to deliver a genuinely cool product. 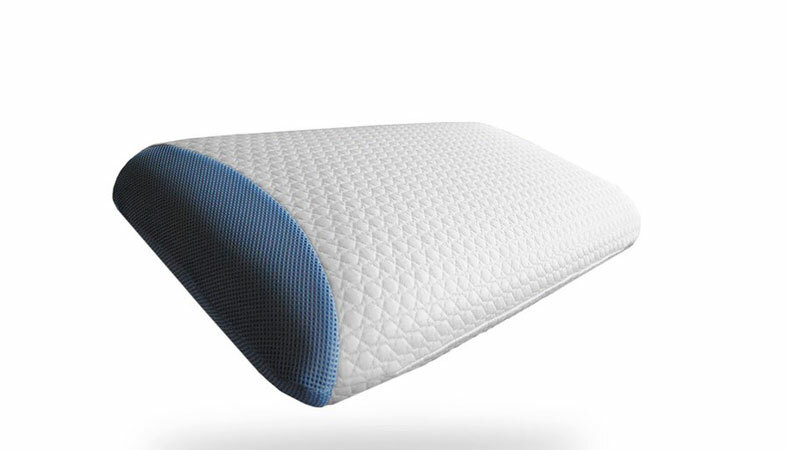 You are looking for a hybrid, foam-based sleeping solution – the entire thing is made out of somewhat stable poly foam. It brings the comprehensive qualities of latex and memory foam, giving it an overall appeal that the majority of sleepers would truly appreciate. You are a back or a stomach sleeper – as we mentioned earlier, this model feels awesome if you are a back sleeper or a stomach sleeper (you can learn more about pillows for belly sleepers and their requirements here). It seems to be incredibly comfortable in this particular regard. However, people with average wide shoulders could also benefit from it when sleeping on their sides. This is something worth accounting for. The Bear Pillow is easily amongst the best deals you can get online. It brings all the necessary characteristics that you can expect from a unit of the kind, and it comes at a relatively affordable price tag. That’s something that you should keep in mind. It offers great overall support and comfort which would easily challenge units which cost three times this price. The fact that it’s sold online is something that you should take advantage of. You can easily return it after a month for a full refund, so there is nothing for you to be worried about.